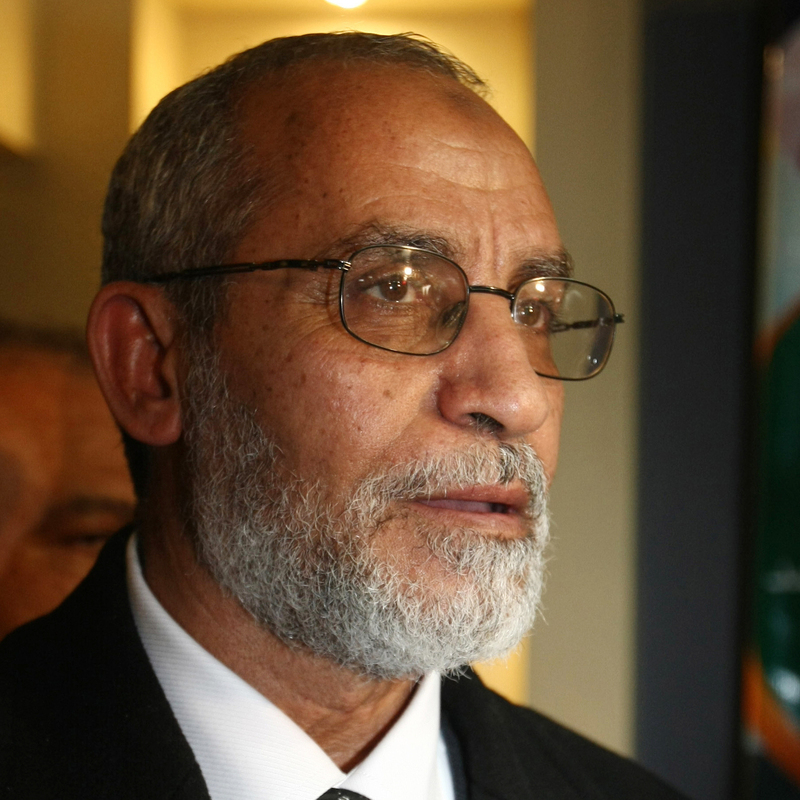 Jailed Leader Of Egypt's Muslim Brotherhood Suffers Heart Attack : The Two-Way The official MENA news agency denies reports that Mohammed Badie, who was arrested by Egyptian authorities earlier this month, has died. Mohammed Badie, the leader of Egypt's Muslim Brotherhood, at the group's headquarters in Cairo in January 2010. Mohammed Badie, the top leader of Egypt's Muslim Brotherhood, has suffered a heart attack while in jail, Reuters reports, quoting the state-run al-Ahram newspaper on Saturday. However, state-run news agency MENA has denied a report by the private al-Nahar website, citing security sources, that Badie had died. Interior Minister Mohamed Ibrahim was quoted by Reuters as saying that Badie is "in good health" after the heart attack. Many of the Brotherhood's leaders were imprisoned in recent weeks in the toughest crackdown the group has faced. Badie, considered the movement's spiritual leader, was arrested on Aug. 20 at his apartment in the eastern Cairo district of Nasr City.